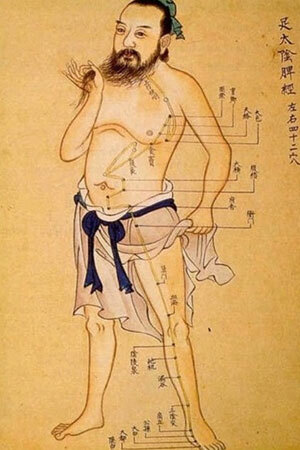 Acupuncture has helped billions of people get well and stay healthy for over 5,000 years. Fourteen major energy channels called meridians course through the human body including the head, arms, hands, feet, torso and internal organs. A subtle energy called Qi (pronounced chee) circulates via these meridians to all parts of the body, even the most remote cells. Qi is the vital force, the presence of which separates the living from the dead. Its balanced, unimpeded flow is critical to sound health. It flows through each of us like a river, energizing, nourishing and supporting every cell, tissue, muscle, organ and gland. When the flow of Qi is disrupted, pain and illness can occur. These imbalances can be caused by stress, pollution, trauma, accidents, improper diet, strain or surgery. With acupuncture needles, we stimulate specific points (acupuncture points) along the course of the meridians. There are 365 acupuncture points. Such stimulation helps restore the normal balance and flow of Qi so organs and bodily systems can work together in harmony as intended. This sets the stage for the body to repair itself and maintain its own health. Acupuncture is not painful. Most patients find the sessions very pleasant and relaxing. Acupuncture treatment is often combined with herbal medicine, homeopathy and nutrition.